Whether you’re restoring a car to have for yourself or you’re doing it so you can flip it to make money, you can save money. Even if you’re not on a budget, use these helpful options to make restoring your car less expensive. If you can find used auto parts that work for your restoration project, you’ll have a better chance at saving money on those parts. Used parts are almost always less expensive than their new counterparts. Make sure you look for parts that are in better condition than the ones you’re replacing so you can make your car look and run better. There are different techniques to restoration. Find one that works for you and use it so you can make your car the best it can be. If you use special techniques to make your car perform better, you should prepare to use them so the car looks better too. It’s always a good idea to have different perspectives to work from so you learn which one is the best for everything you want to do to the car. Even if you don’t have a professional do the work on your car, consulting with one can help you learn what you need to about the car. It’s a good idea to talk with a professional to get their advice. You may even need one to do some of the things on your restoration project so keep that in mind when you’re figuring out the best way to do the project. A professional may give you the best results and may be your best option for making the car as if it were new again. When you’re searching for everything to use with your restoration project, use the highest quality things you can find. Finding high-quality materials will help you make your car look better. It’ll also help you show people you care about the car. You may pay more for quality up front, but it will pay off in the end. Quality always works for people who use it. There are many steps to restoring a car and that’s something you can count on no matter what you do to the vehicle. It’s a good idea to try different things so your car gets the best treatment possible and you don’t waste money on the process of restoring it. Restoring your car to its former glory does’t have to break the bank. Create and stick to a plan of action, and determine when you can repair a part rather than replacing it. Knowing where to look for parts that can be salvaged, and learning to do repairs yourself can make the process easier and more affordable. 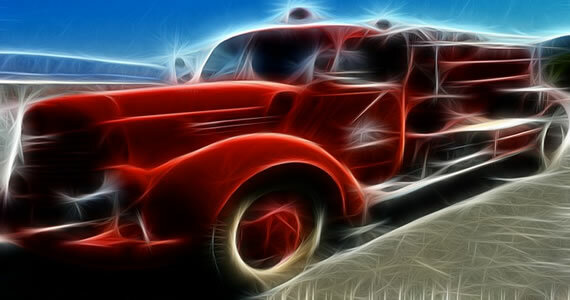 Save money on your next car restoration by creating a plan to guide your project. Include a detailed list of parts you may need to restore now or in the future as well as reliable suppliers for each part. Rank these restorations from vital to less important and cross off each repair you make to keep track of your progress. Closely examine cosmetic details to determine if the part in question could simply be repaired rather than replaced. For example, it is far less expensive to polish and buff a windshield with minor scratches than it is to install an entirely new one. If the repair seems fixable, learn to repair it yourself or get several quotes from other mechanics and go for the most financially sound option. When repairs are necessary, find a salvage center in your area to see if they have a car that is similar to yours that you can use for spare parts. It may also be beneficial to check the classified section of newspapers or look online for people who may be selling car parts at reasonable prices. Consider doing some research and finding specialty shops like Reggie’s Garage that carry the supplies you need. If you can purchase these parts at a low enough cost, you will save money in the long run by being able to salvage whatever you need to restore your current vehicle. The absolute best way to save money on car restoration is learning to do repairs yourself. In order to make this a viable option, you will need to have a place where you can work on your car, preferably a garage to keep both you and your vehicle out of the elements while you work. Make sure you have the tools necessary to complete the repair before starting. Don’t let a tight budget keep your car from running and looking its best. By following these simple steps, you can greatly reduce the cost of restoring your vehicle. When in doubt, get a second opinion from a car expert in order to save time and money in the long run. 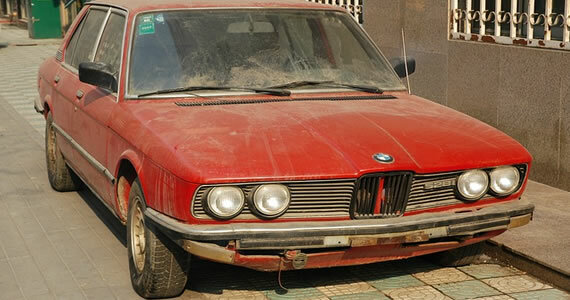 Do you have an old clunker taking up space in your garage or backyard? Perhaps it’s taken you months or even years to muster up enough energy to finish the project. It may seem daunting and nearly impossible to complete a task like overhauling a vehicle. Fortunately, you don’t have to do it completely alone! If you follow the right steps you can end up with the car of your dreams. Begin at the very bottom of the vehicle and work your way out when starting your overhaul project. If your vehicle is a frame and chassis then you will want to remove all interference’s so you can separate them. Once they are separated you will have the option to bead blast the metal chassis or hand sand it. Apply a nice base coat usually black or gray to protect the metal once it is cleaned and repaired if there was rust. Once you have the chassis repaired to your liking it will be time to move on to the body. Bodywork takes time in order to be done correctly. Some people choose to take their vehicles to a body shop for proper body filler, sanding and painting. You can shop around to ensure you find a body shop that meets your requirements and price range. What better way to get your old clunker running than with a new or refurbished crate engine and transmission. Crate engines and transmissions come in different sizes and horsepower ratings. You will want to choose the one that best suits your overhaul needs. Will you be creating a high horsepower weekend drag car or one you can drive daily? Give all four brake calipers and pads a good check to make sure that they operating correctly. It can be fairly inexpensive to change the rotors and pads. Do your research when it comes to finding reasonable pricing for parts. If you’re worried your vehicle might be a little old for the latest auto gear, shops like Reggie’s Garage specialize in classic car parts. When starting an overhaul project the list of things to repair can be very long. You have to ask yourself if you’re capable of DIY work on the vehicle. Doing the repair work by yourself can save you a lot of money, but not everyone can do welding and bodywork. Your best option may be to shop around and see who has the cheapest rates to perform the work you need. DIY overhaul projects can save you money and give a certain sense of ownership. The downside to repairing the vehicle yourself is the time it will take you to complete the overhaul. With a packed schedule, you may opt for hiring a professional. One thing is for sure, you won’t ever look at that old clunker the same way once you’re finished overhauling it! If you like repairing old cars, there are seven classic cars that are begging to be restored. Locating parts for these vehicles won’t be very difficult, so major delays will never be a huge concern. Although the Buick Rivera doesn’t have a typically size, it is still a fast and powerful vehicle. 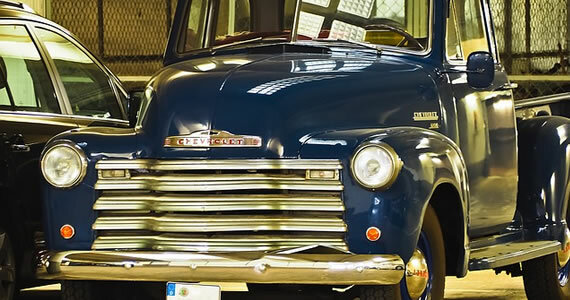 In its era, the Rivera was a well-designed car, which is why many people are now restoring it. The Chevrolet Bel Air is a popular collector’s item because the replacement parts are quite affordable. Automotive part manufacturers also offer a variety of upgrades for the Bel Air that improve performance, such as disc brake conversions. If you are on a budget, the GTO should be considered since it is very affordable. However, if you have money to spend, purchase one of the earlier vehicles instead. Automotive parts manufacturers produce plenty of parts and components for the GTO that increase gas mileage. However, the vehicle is not in high demand, so it won’t have a great resale value when you list it for sale. Among collectors, the Lincoln Continental is a popular car. The replacement parts for this vehicle, however, are somewhat limited. Though, if you can find the components, you can purchase them at low prices. This car is a great choice for rookie restorers; the demand for the vehicle is low, and the parts are readily available. If you run into problems during the restoration process, you can easily contact an expert for advice. The only disadvantage is that you may not earn much money when you sell the vehicle. However, if you want to test your restoration skills, you can tackle this project without spending thousands of dollars. In the 50s, Packards were efficiently-built cars. Today, replacement parts can be purchased at low prices, but trim components are not very easy to find. To restore the vehicle, you must join a car club so that you can get helpful advice and store recommendations. Tackling this project is high recommended because the Packard sells easily. The Ford Mustang is another ideal vehicle for beginner car restorers. Parts for this vehicle are readily available in almost every city. Beginners typical buy early Mustangs since they are easy to sell. Each of these vehicles are worth restoring. For additional advice about cars, contact the experts at Speedy Apollo Auto Service Centres or local service center. Restoration can be very time consuming, not to mention somewhat costly. You should always make sure you are willing to put in the time and effort before deciding to do something, such as restoring your old truck. Restoring a truck is not only about bringing it back to life, but shows your passion and the talent you possess in creating something unique. The make and model of your truck will play a huge role in determining how much time and money you will spend in restoration. Money plays a key part in the restoration process. The price to restore your old truck can vary greatly. It would be wise to focus on restoring certain aspects of the truck first. 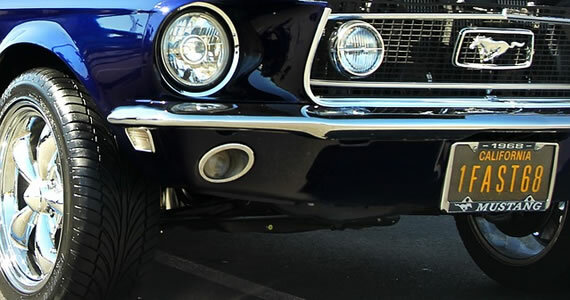 If there is something you really want to restore now and if it is within your budget, you might start with that particular part or area and only focus on that aspect of your truck restoration until that particular area is completed. This will allow you to stay focused and help you manage your finances for the project all at the same time. It would also be wise to set a budget for each step in this process to secure that you stay on track and to help you see if fixing the truck is really worth it or not. The process of restoring your truck will also take a lot of time. You will be rebuilding your truck and depending in what kind of shape it is in, it can even take years to complete. Not to mention that it might be difficult just to find parts needed for your truck. Also, if you ever heard the phrase, “time is money,” then you understand that the less money you have to invest in restoring your truck, the more time it will take. Many people will take their truck to a restoration company to secure that necessary components such as the body and engine are done properly. One major issue that can slow down the restoration process is rusted or frozen bolts. 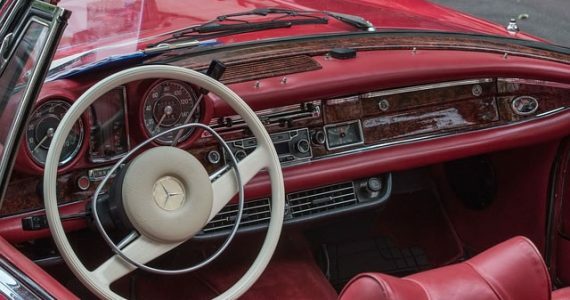 If this is your first time restoring a vehicle, it might pay off in the long run to have professional s handle the vital restorations. Sanding and a primer should be done to smooth the truck body before paint is applied. The key paint ingredients for your truck are pigments, binders, and solvents. You can even add some flames or stripes going up the hood. Choose your color carefully and make sure you read all the instructions and warnings included with the paint. Upgrade your truck by installing a new sound system or a USB cable for IPods, IPhones, etc. Get some new rims for your tires, maybe ones that light up. Upgrades are great, but make sure the truck is safe and workable before spending money on accessories. Remember that deciding to restore your truck is an important decision that shouldn’t be made on a whim. You need to consider things such as cost and if you have the time, dedication and passion to put into your truck. Is it worth it? Lizzie was inspired to write this article by 99 Truck Parts & Industrial Equipment Ltd., who specialize in truck parts and repair.